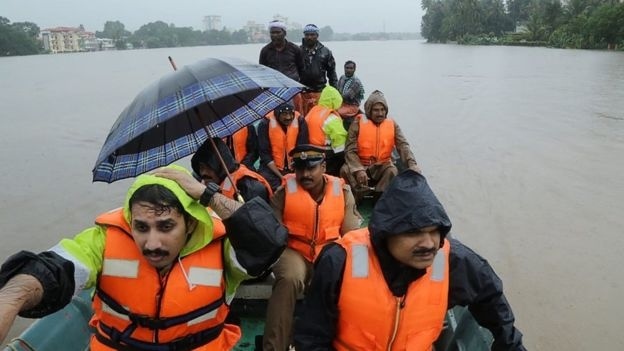 AKIPRESS.COM - At least 164 people have died in devastating monsoon floods in India's southern state of Kerala, the worst in almost a century. Rescuers battled torrential rains to save residents, with nearly 223,000 left homeless, BBC reported. The state government said many of those who died were crushed under debris caused by landslides. With more rains predicted and a red alert in place, the main airport has reportedly been shut until 26 August. The state's chief minister, Pinarayi Vijayan, confirmed on Friday that the death toll had reached 164. Hundreds of troops have been deployed to rescue those caught up in the flooding, alongside helicopters and lifeboats. The government has urged people not to ignore evacuation orders. It is distributing food to tens of thousands who have fled to higher ground.